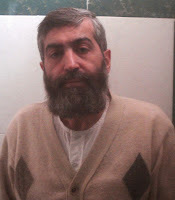 Based on received reports from the organization Human Rights Activists for Democracy in Iran, prisoner of conscience, Mr. Kazemeini-Boroujerdi suffered a heart attack and pulmonary hypertension in his cell in Evin prison. However rather than being transferred to a hospital, the prison authority transferred him to the on-sight infirmary which is hardly equipped to deal with any such emergencies. He was kept in the infirmary for a short time and then returned to his cell. Mr. Boroujerdi who is at the beginning of his eighth year of his imprisonment, has continued to experience serious heart and pulmonary issues throughout the years. On Sunday morning, September 29th, he began to once again experience extreme pain in his chest and shortage of breath that was untreated the entire day; finally on Monday morning the chest pain and shortage of breath combined, lead to a heart attack. At that point the prison guards who had refused him any help up to that point, were forced to take him to the prison infirmary where the proper medical professional was not at hand. He was tested on a few things though the results of the tests have not been given to the Kazemeini-Boroujerdi family. Not only was he not given any medication while at the infirmary, the prison authorities continued to refuse his family’s delivery of medication that he had been prescribed before. Mr. Boroujerdi, whose medical condition has been ever worsening has required a medical furlough from prison, in order to receive proper care for his various ailments, at a professional hospital for a long time. The Special Clerical Court authorities however continue to block all necessary medical care, as his condition becomes more and more fatal. Human rights activists express their grave concern for Mr. Boroujerdi’s conditions and warn that the Iranian regime’s insistence on prohibiting his effective medical treatment will be construed as a willful act against his life and call on the United Nations Office of High Commissioner on Human Rights and the Special Rapporteur to intervene.